As a handler, Al Ladd is well established on the wild-bird trial circuit. 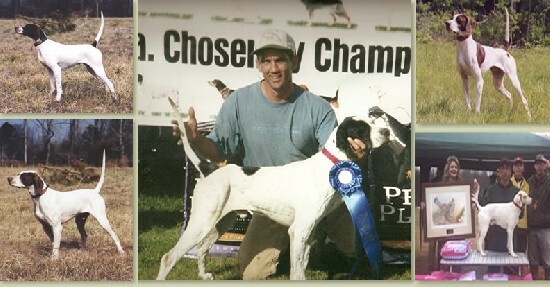 He has the ability to develop a good puppy prospect into a strong derby dog, shooting dog, and ultimately a field trial champion. Al’s dogs have been described by trial reporters for the American Field as “statuesque”…having a “faultless pointing style”…and “a majestic style and picture perfect point.” His dogs are always in top physical condition, enabling them to succeed in all types of weather.